Shoeing horses seems to be a controversial subject with strong opinions on both the pro side and the con side. Actually, whether to shoe a horse or not depends on the horse, the activities, the horse’s physical condition, the terrain the horse runs on. Many people who are against shoeing cite the fact that wild horses run over all types of terrain and do well. But do we really know the condition of their hooves? 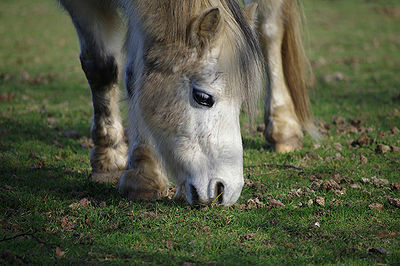 When the horse is usually ridden on grassy or sandy trails, the consensus of opinion is that shoeing is not necessary. Bare hooves generally toughen up after a period of time. The center of the bottom of the hoof is called the frog, a delicate area. Shoeing prevents stones and other painful debris from touching the frog. Equine veterinarians recommend shoeing when there is a need for traction as part of the horse’s activity, to treat lameness and hoof diseases, the structure of the hoof, if there is excessive wear on the feet. 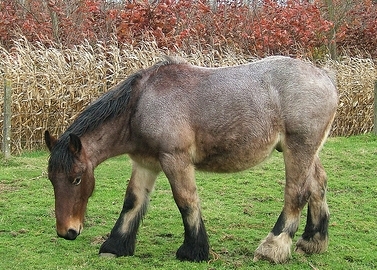 Genetics and breed should also be taken into account as some horses may be bred for a fashionable look rather than what may be best for the horse. When transitioning a horse who has been shod to going barefoot, it can take time to adapt. About30-90 days should toughen the feet. The farrier must also change the method of foot care without shoes. The length of time a horse has worn shoes can influence the time in adapting to bare feet. 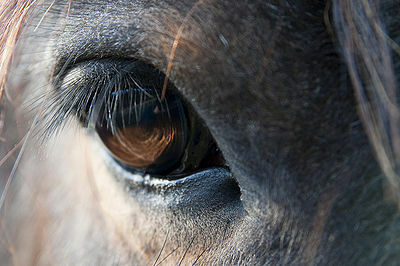 The decision to shoe or not should be taken on an individual basis as each horse is different with different needs. Discuss with your farrier and equine vet whether shoeing or going barefoot is best for your horse.